The other day, whilst in a philosophical mood, I got to musing on whether there would be any way for humans to tell if we were being kept as pets by some alien intelligence. Consider the goldfish that we keep in our kitchen. I doubt that they have even the foggiest idea that the glass-walled vessel in which they find themselves is in any way strange. Or even that they have any idea of what ‘glass’ is, or what ‘strange’ is. They are quite obviously accustomed to the large shadowy figures that loom over them from time to time, and have come to associate these figures with food, which makes for obvious excitement for them. Their goldfishy brains probably can’t even encompass the idea of humans, or a kitchen bench, or meatballs and tomato sauce (which is what I happen to be cooking for dinner as I write this). But what if we are like that? If we were the pets of aliens, how would we even know? Our puny human brains might be to them as goldfish brains are to us. If we are being kept in the alien equivalent of a glass tank on an alien kitchen bench, how could we even know, if we are unable to contain the concept of alien glass, or alien kitchen benches or alien meatballs? If we know nothing other than the circumstances in which we find ourselves – like the goldfish, raised in tanks in an aquarium and transported in plastic bags to a new home – what possible reference point could we have? As silly as this sounds, I don’t mean it to be a flippant question. It is at least as plausible as any other hypothesis for why we are here, and it is just as unfalsifiable as postulating the existence of God, or alternative universes, or that we are a computer simulation. If you accept that there are grades of intelligent awareness possible in the universe (and our own experience tells us that goldfish seem to be less aware of the universe than we are, and at the same time more aware of the nature of things than bacterium, say, so that appears to be a fairly reasonable assumption) then putting ourselves at the top of the intelligent awareness ladder seems a tad presumptuous. Is there any way, therefore, to know whether our reality is a ‘natural’ one or whether we are in an alien goldfish bowl? I suspect not. But the places to start looking would be things in our universe that seem to be a little too ‘convenient’ for us to be here. And there are, indeed, some of those. You obviously haven’t watched American Dad. Klaus the goldfish is much more intelligent than Stan. I’ll try to break this to you as gently as I can Al…. American Dad is a cartoon. Oh my goodness. The pothole our puddle is in, is the perfect shape for the water that it contains. I mean, really *perfect* – there’s not even a molucule’s-width gap between the water and the ground, at any point. This hole must have been made specially to fit this specific piece of water. That said: at some point, assuming the singularityists are correct, we will become storable on silicon, and able to emulate a trillion of our lives in an eye-blink. 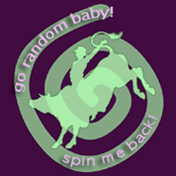 Given that, the odds that you are the real one, are pretty slim. I don’t mean by this post to suggest that we actually are alien pets. The anthropic argument is by its nature inescapable, but all the same it is quite possible for us to infer alternatives. It’s a bit like arguing for absolute Existentialism. You can do so, but it’s rather a banal prospect. I could live my life believing that everything I see is a figment of my imagination – and I technically can’t prove it’s otherwise – but it seems like a cop-out. Of course, if absolute Existentialism is true, I would think that. The point here, of course, is that the Alien Pets Hypothesis is as equally plausible as any religious explanation, given a level playing ground (by which I mean the exclusion of religious epiphany). Unless perchance the ‘aliens’ are extraplanar gods of sorts, or supernatural sitting in their heavens (which appear to exist on other planes – I forget, is a Higgs-Boson supernatural when it exists outside of our nature? Or does where it is become part of the natural world, and thereby part of ours? ), in which case the aliens are the selfsame gods, in which case we must certainly be goldfish in a bowl. 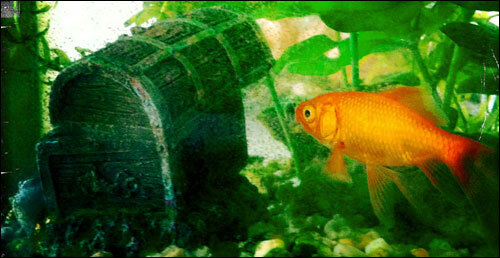 Excepting, logically, that only goldfish can make more goldfish – we haven’t made any ourselves from scratch, and as far as we can tell they aren’t popping into reality like a Higgs particle or photon might. So, deducing logically, even if supernatural gods exist, are they supernatural if they can affect us? And if they have no effect on us, do they exist any more than anything else? Thereby we’d have to be in a container stretching from the big bang to the end of time-space, but nothing that happened before the big bang can affect what happens after (thanks, Hawking!). Therefore, anything that may have started us on this cosmic evolutionary path must inherently not know about us and be completely incapable of interacting and observing us. But then again, as Krauss points out, it all can be explained as starting literally from nothing and expanding into nothing. Thereby, I think it’s safe to say that maybe at best the galaxies could be pets, but we’d be like the very undiscovered particles that exist in your fish’s scales, which I don’t think you count as your pet any more than the microbes in the bowl, the bacteria in your gut, or the e. coli in your uncooked chicken. But, seeing as how the universe itself doesn’t have consciousness, but we do, I think it’s a far cry to assume that something must be watching us (from where?) in our universe-shaped fish bowl. Thus, if the bowl analogy is just as credible as any religion (that is to say, not very much so at all), but we observe the world with science (and not religion, and only very slightly with philosophy – simulation or god or doghouse or whatever), then it’s an exercise in futility to wonder about things that, for all intents and purposes, don’t exist. Since our creator (captor, viewer, owner, whatever) is thence non-existent (at least, hasn’t shown up in this universe, and existing outside our universe is a form of not existing, because they couldn’t observer or act upon anything anyway – they’d be just as oblivious to us as we are of them) and that’s pretty much it. Sure, anyone can say ‘maybe we are alien pets’ or ‘maybe we are a simulation’ or something further, but if we can’t demonstrate the principles, quantify the variables (how many overlords do we observe? none. How many species do we observe? A lot. How many of those species are building cities, weapons, languages and libraries, et cetera? Humans, and that’s about it. If there are skypeople watching over us, where are they at? We see no intelligent life around us in the universe (which means our guardians aren’t in this solar system at the least, and means they aren’t within 60 or so lightyears (since anything that much more sophisticated should logically anticipate our moves and be able to at least take in any signals we might send out, especially if they know we are here. Then again, perhaps they’ve abandoned us, but then we should be picking up traces of them (unless, of course, they aren’t tooling around the universe in the sort of thing we can pick up waves on. If they left in a nuclear-powered ship and communicate along almost any spectrum, we should at least be able to get the encoded broadcasts, no matter how long ago they left (unless they can break the laws of physics and go faster than the speed of light – otherwise they can’t be further away than their radio signal, which would likely have been broadcast since the time they left (can’t outrun their own communication, can they?). Thereby, our captors aren’t here, but neither do they appear to be anywhere. Thereby I think a simple test tells us if we are a simulation. If we are a simulation, we ought to be able to crash it, or break it. If we are pets, we ought to be able to at least observe (through some method, eventually) our owners. As our technology gets better, and we still keep coming up empty on both fronts (the world is still spinning, for example, so we haven’t crashed a simulation. We haven’t observed the laws of physics breaking down. I think this is evidence against the fishbowl argument. Even an existentialist mind has to exist somewhere, and if you think it’s all in your head, your head still has to exist somewhere. Similarly, any owners of that mind would also have to exist somewhere. Probably not within the same program or mind or fishbowl – certainly the underwater chest doesn’t own the fish, and nothing in that chest, neither. The thing is, everything you say is framed by your human preconceptions. Asking ‘How many overlords do we observe?’ is like the fish trying to contemplate human children getting an aquarium under the Christmas tree. There is simply no point of reference; fish do not understand the concepts of humans, trees or (especially) Christmas. Let alone the idea of ‘pets’. There is in fact, no point in calling up anything we know as an example of our own independance, because we can only judge what we know by what we understand, and that is the purpose of what I’m saying here. Things look normal to us because they do. Our normalcy would have to be significantly ruptured for us to discern that something was wrong, and even then, we may not know what it was that we were discerning. Forget about ‘nuclear powered ships’ or ‘the laws of physics breaking down’. These are inventions of human imagination. If it is at all possible to find acceptable evidence that our universe is an alien aquarium (and I reiterate: I’m not sure it even is) then we need to look into the mechanics of what we observe and find peculiarities. And there are some,* but even they might simply be a legacy of the Puddle Explanation that Dewi referenced. *The peculiar properties of water, for example. Water behaves in very strange ways – unlike any other substance we know – and it happens that if it didn’t we (and all other life) would not be able to exist. This strange anomaly is most frequently invoked to shore up the teleological argument, but even if it is a crack in the reality of things (and again, I’m not saying it necessarily is) there is absolutely NO imperative says we’ll understand what it means (and certainly nothing at all to say it’s some kind of God of our human imagining). Alien ownership makes just as much sense as virgin births and walking dead, and would go a long way to explaining odd socks. Don’t tell me there isn’t a sinister element to the accumulation of odd socks. That just about sums it up I think. 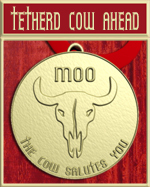 Tetherd Cow Ahead is powered by	WordPress 4.2.23 and delivered to you in 0.384 seconds using 97 queries.